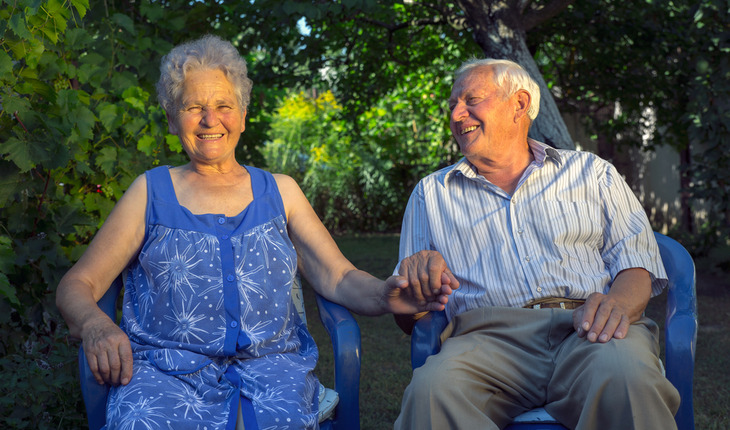 You might believe that older adults who deal with extensive chronic illnesses or serious diseases would be more likely to be frail and to have a poorer quality of life than healthier older adults. That may be true for some elders–but not for all. Research published in June 2016 in the Journal of the American Geriatrics Society suggest that an undefined coping mechanism of some sort may play a role in how well older adults are able to live despite having burdensome illnesses. The researchers examined three groups of participants enrolled in the Cardiovascular Health Study, a large research project that examined adults 65-years-old and older from four cities around the country. The expected agers (3,528 people) had higher disease but also higher frailty levels. They spent 47 percent of the remainder of their lives able and healthy. The adapters (882 people) had higher disease levels as well as relatively high vigor (being active and mobile) levels. They spent 55 percent of the reminder of their lives able and healthy. The prematurely frail (885 people) had lower disease levels but higher frailty levels. They spent 37 percent of their remaining lives able and healthy. The researchers said “adapter” older adults who were more vigorous than expected, based on their disease burden, lived longer lives when compared to those who were more frail than expected based on their disease burden. These “adapters” could have unique characteristics, perhaps some undefined coping mechanism, that should be studied further, suggested the researchers. The study authors are Jason L. Sanders, MD, PhD; Alice M. Arnold, PhD; Calvin H. Hirsch, MD; Stephen M. Thielke, MD; Dae Kim, MD, ScD; Kenneth J. Mukamal, MD, MPH; Jorge R. Kizer, MD, MSc; Joachim H. Ix, MD, MAS; Robert C. Kaplan, PhD; Stephen B. Kritchevsky, PhD; and Anne B. Newman, MD, MPH.